In Dash DVD w/Navigation, Overhead, or Dual Headrest DVD? We've got you covered! From an Overhead drop down 9" to 15" wide screen to Dual 9" Headrests, each with thier own DVD player! controler! 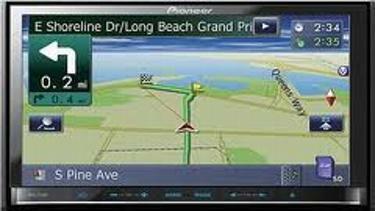 We feature Audiovox and Pioneer products, the best names in Mobile Video and Navigation. after the sale, beacuse the brands we carry are NOT Disposables! You can actually order that lost remote, or owners manual, or even have the unit serviced several years later! WE NOT ONLY INSTALL IN CARS AND LIGHT TRUCKS BUT DO MARINE, CLASSIC CARS, MOTORCYCLE, POWERSPORT AND COMMERCIAL VEHICLES!